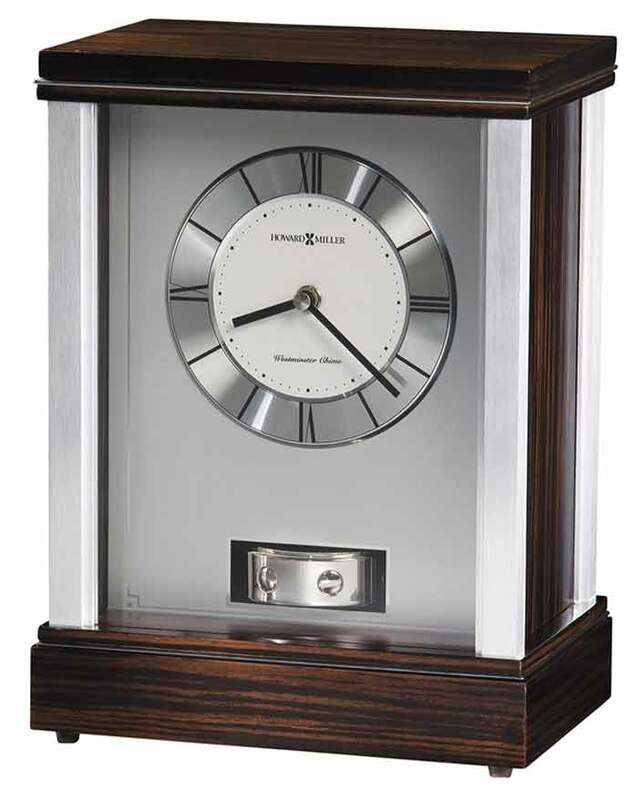 This contemporary quartz mantel clock features brushed aluminum corners and polished silver-tone accents which complement the faux Macassar Ebony finished top and base. 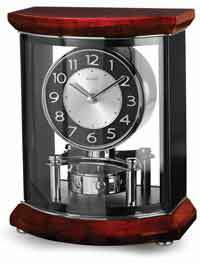 Brushed aluminum dial features an applied circular, brushed aluminum numeral ring with black Roman numerals and hour markers,satin silver center and glass crystal. 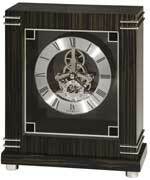 A unique, revolving pendulum is located under the dial and finished in a polished silver-tone. Quartz, battery-operated movement requires two AA and two C sized batteries. 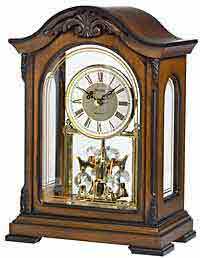 This clock plays Westminster melody on the hour and features a volume control and chime may be silenced. 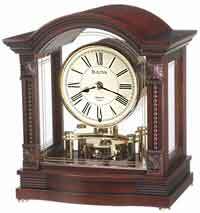 Clocks for sale at The Clock Depot including the 635-172 at discount prices.